New York's Front Room Gallery is featuring nine artists who explore the patterns people inscribe onto landscapes. The group show, Pattern in Landscape, opens this Friday. 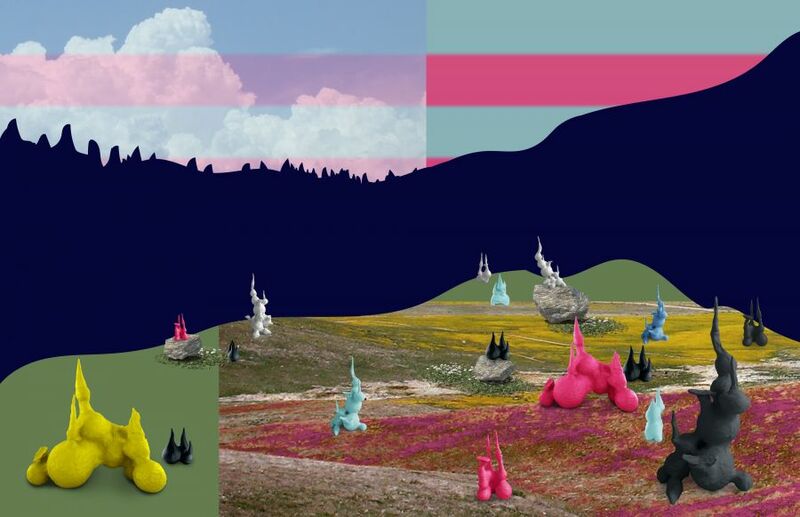 It features Ross Racine's take on suburbia–serenely arranged, almost intestinal cul-de-sac spreads the artist creates through digital imaging and drawing. Photographer Phillip Buehler captures a military storage yard in Arizona filled with aircraft, a geometric image that would not be out of place on Things Organized Neatly. 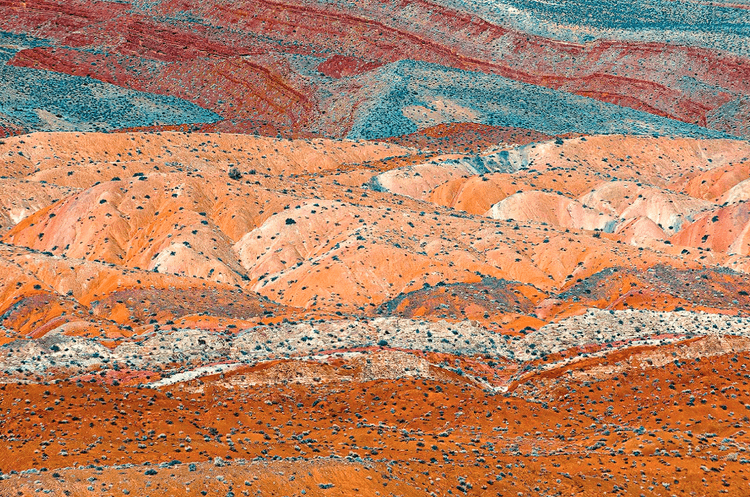 Zoe Wetherall also looks to the desert—as well as architectural forms—to reveal the inherent geometry of nature in her images, pictured at top. Meanwhile, photographer Sasha Bezzubov looks to the north, chronicling the changing Arctic ice sheets, which are shaped and scarred by climate change. The opening reception is this Friday, January 26th, from 7 p.m. to 9 p.m. Pattern in Landscape is on view at Front Room Gallery from January 26 to February 18, 2018. More information on the show and Front Room Gallery's hours of operation can be found here. Danish-Icelandic artist Olafur Eliasson has unveiled two large-scale water installations at the Château de Versailles in France. Eliasson may be best known for his Weather Project (2003) in the Turbine Hall of Tate Modern, London and his four large-scale artificial waterfalls that were installed on the shorelines of Manhattan and Brooklyn in 2008. Eight years on, and Eliasson is still working with artificial waterfalls. 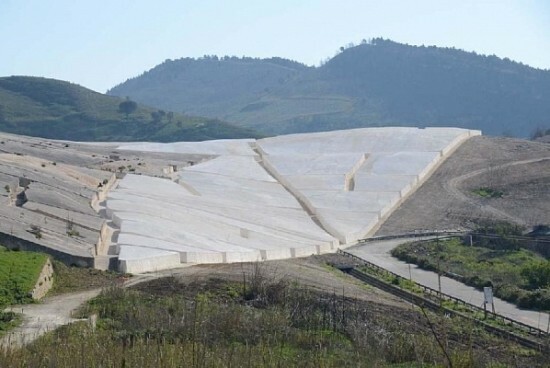 This time his similarly-sized project in Versailles, along with a series of site-specific works, aim to reflect on the effects of climate change. 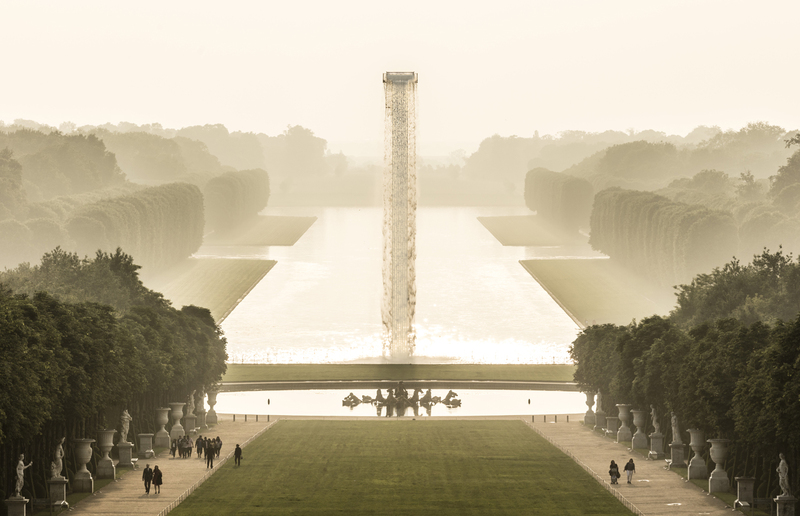 Using a construction crane, Eliasson allows water to crash down into the basin of the Grand Canal at the Palace of Versailles. The piece is titled Waterfall and the crane is positioned in such a way that on June 21, the cascade of water will obscure the sun, creating a shimmering array of light from certain perspectives. 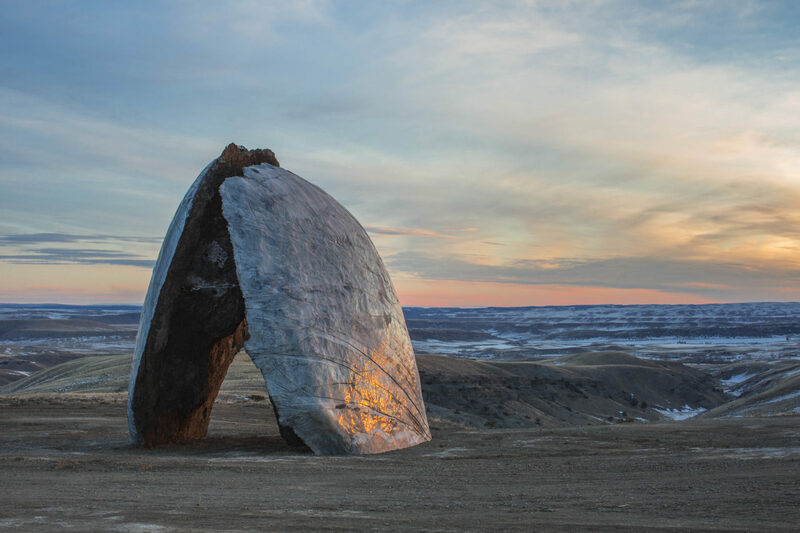 In a more overt not to climate change, the artist's Glacial Rock Flour Garden uses 50 tons of glacial rock flour from Greenland—worn down to dust through erosion— to create a desert-scape in the Palace of Versaille's gardens. Surrounding the statue of Persephone, Greek goddess of spring, Eliasson has described the installation as "very alien." Speaking at at a press preview, Eliasson said that Persephone and the encompassing Colonnade "have been cultivated" adding that the work is about "the loss of nature." Other installations can be found inside the Château de Versailles. The Curious Museum features mirrors located behind windows, intended to reflect the arches of the Hercules Room. A reflective triangle and circle installation, dubbed Your Sense of Unity and located at the end of the Hall of Mirror, creates the illusion of illuminated circles filling the space. Using more mirrors, Solar Compression is a mirror that slowly rotates, reflecting the details of the King’s Guards’ Room wooden floorboards. "Historically, the royal court at Versailles was a place of constant observation—of oneself and of others; the strict social norms of the time were enforced through a web of gazes," said Eliasson in a press release. "I ask myself: how do you, the visitor, view this iconic site? What does it do to you? Have we all become king?" Building on this, Eliasson has created The Gaze of Versailles. An easily missable installation, two balls formed from glass, gold, and brass have been embedded into a window pane in the Lower Gallery. Looking out onto the palace garden's and Eliasson's Waterfall, the installation is meant to resemble the artist's own glasses, thus allowing visitors to view the Waterfall through Eliasson's eyes. Overall, the installations seek to facilitate introspective experiences, with visitors questioning whether they are in Eliasson's words, “consuming or producing the experience.” “The works outdoors and indoors address the need to offer the opportunity for everyone to become an explorer, not just a king or queen,” he added. “With Olafur Eliasson, stars collide, the horizon slips away, and our perception blurs. The man who plays with light will make the contours of the Sun-King’s palace dance,” said Catherine Pegard, President of the Château de Versailles.